Santa Rosa, Calif. – Think Tank Photo’s new Airport Advantage Plus rolling camera bag is specifically designed for traveling photographers. By complying with international carry-on requirements, photographers can keep their most valuable gear safe and near them when they fly. The roller’s ultra-lightweight design at 6.9 lbs. (3.1 kg) helps meet weight restrictions, yet features the same level of protection for which Think Tank is known. Its dedicated laptop pocket fits up to a 17” laptop in a padded sleeve, a 10” tablet, or an Eagle Creek Medium Clothing Folder for overnight trips. The Airport Advantage Pus holds one gripped DSLR with lens attached, one ungripped DSLR with lens attached, plus five to eight additional lenses, and a 17” laptop. Or, it can hold two gripped DSLRs with lenses detached, plus five to seven lenses. For Mirrorless users, the roller can fit two bodies with a crazy amount of lenses. It can hold up to a 200–400 f/4 detached (hood reversed) lens. Exterior: For superior water-resistance, all exterior fabric has a durable water-repellent (DWR) coating, plus underside of fabric has a polyurethane coating. The bag is also constructed with 420D velocity nylon, YKK RC Fuse (abrasion-resistant) zippers, custom designed extra tall skid plates, high performance 80mm super quiet wheels with sealed bearings, rubberized laminate reinforcement, and 3-ply bonded nylon thread. 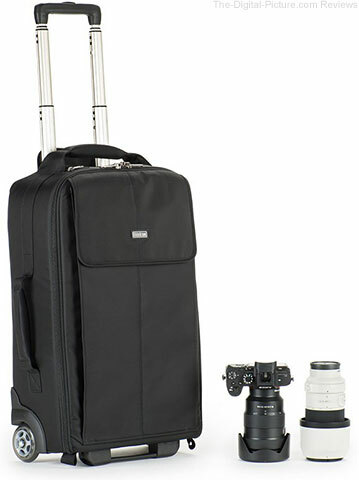 Think Tank Photo has the Airport Advantage Plus Rolling Camera Bag in stock. And as an added bonus for using our links, you'll get a free gift with your purchase. 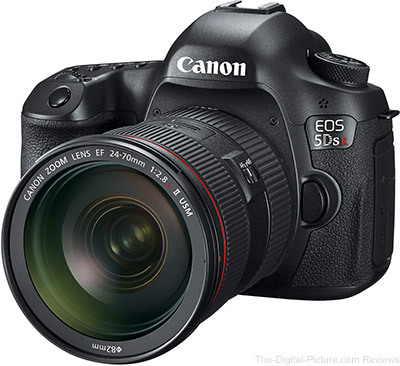 Fixes a phenomenon in which standard exposure may not be obtained, or an irregular exposure may result, when Silent LV (Live View) shooting with the following TS-E lenses: TS-E 50mm f/2.8L MACRO, TS-E 90mm f/2.8L MACRO, or TS-E 135mm f/4L MACRO. Changes the maximum number of "Release cycles" displayed from 1,000,000 cycles to 9,999,000 cycles. This value can be checked under the "Camera system information" menu. 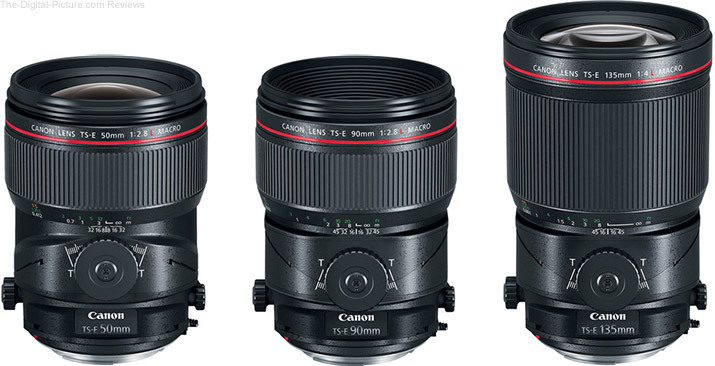 Support has been added for chromatic aberration correction, peripheral illumination correction, distortion correction, and Digital Lens Optimizer when using Digital Photo Professional to process RAW images captured with the following TS-E lenses: TS-E 17mm f/4L, TS-E 24mm f/3.5L II, TS-E 50mm f/2.8L MACRO, TS-E 90mm f/2.8L MACRO, or TS-E 135mm f/4L MACRO. Support for Exif 2.31 has been added. B&H is currently hosting a live stream discussion panel on the recently announced Sony a7R III. See below for the live stream access. 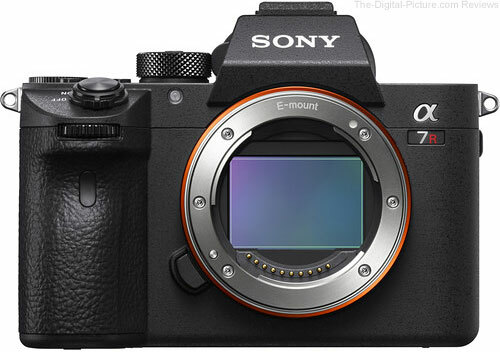 B&H has started shipping the Sony a7R III Mirrorless Camera to early preorder customers. Just posted: LensCoat RainCoat Review. 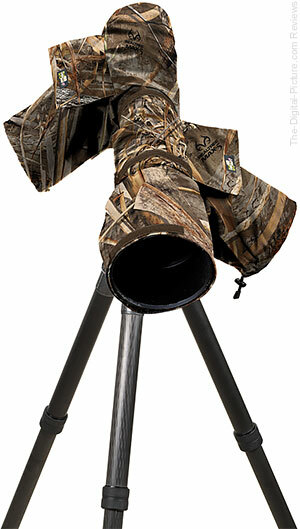 I found the camo camera and lens raincover I was looking for. Looking for a great gift idea? Any of the many RainCoat models qualify! The LensCoat RainCoat is in stock at B&H | Amazon | Adorama | WEX. November 30, 2017 – Nikon Corporation is pleased to announce the release of version 2.0 of SnapBridge, the app that enables users to easily and conveniently expand the rich experience of their Nikon digital camera via Bluetooth connection to a smart device. SnapBridge Version 2.0 reflects feedback from users of earlier versions of the app, and represents a complete overhaul of screen design and menu structure. It also offers new functions, including instructions for connecting to a camera, that make the app easier to use, more intuitive, and enable simpler connection. When pairing a smart device with a camera, the SnapBridge app provides clear instructions on the steps to be performed with each device, for a simpler pairing process. The convenience of the app has also been increased in a number of ways — it is equipped with a power-saving mode, images are displayed faster, and connections are more stable to ensure the smooth and reliable transfer of photos. Lastly, functions that support full-scale remote photography with a digital SLR camera have been extended. This enables users to apply and adjust main camera settings using the app. With all of these added improvements, the app has been developed with the focus on significantly improving the user experience. Nikon will continue to enhance the app's usability and strengthen its functions in order to provide users with increasingly rich imaging experiences well into the future. Screen design and menu structure have been significantly overhauled in a number of ways, including the adoption of progress displays, to provide visual confirmation of the status of an operation. These include when a smart device is paired with a camera or connection is changed to a Wi-Fi connection. Direct access to help functions from the app menu is also available. The app offers different instructions for each category of camera. With explanations of the steps to be taken with both the smart device and the camera provided using text and images, even those attempting to pair devices for the first time will have an easy time of it. Further, up to five cameras can now be registered with the smart device running the app. This makes switching between cameras much easier for those who own multiple Nikon cameras. The stability of smart device connections to cameras has been increased for all operations, including the automatic downloading of photos. Additionally, the speed with which images are displayed has been improved, enabling the faster display of images in the SnapBridge app — acquired via auto download or those within the camera with manual download. The app is also equipped with a new power-saving mode that controls the amount of smart device power consumed by the app when it is not connected to a camera for an extended period of time. SnapBridge Version 2.0 also features a location data accuracy setting that allows users to choose between lower power consumption and greater location data accuracy by selecting how often the smart device updates location data. Three options — High (high accuracy), Medium and Low — are available. Important digital SLR camera settings can now be controlled from the SnapBridge app with remote photography. The live view display on the smart device can be used to confirm and adjust camera settings, allowing users to enjoy more full-scale shooting. SnapBridge Version 2.0 has a dedicated tab that makes it easier than ever to use NIKON IMAGE SPACE. In addition, photos taken using remote photography can now be uploaded to NIKON IMAGE SPACE automatically. This means that all photos that have been downloaded to the smart device can now be automatically uploaded to NIKON IMAGE SPACE. B&H is hosting a live stream discussion panel on the recently announced Sony a7R III starting at 12:30pm Eastern Time today. Once it goes live, the live panel discussion can be accessed below. B&H has updated its availability notices for the Canon TS-E 50mm f/2.8L, TS-E 90mm f/2.8L & TS-E 135mm f/4L Macro Tilt-Shift lenses indicating they will be available December 4 (Monday). Just posted: Gitzo GT1555T Traveler Carbon Fiber Tripod Review. If you do not have a high quality travel tripod in your kit, consideration of a model from the Gitzo Traveler Carbon Fiber Tripod lineup is warranted. The Gitzo GT1555T Traveler Carbon Fiber Tripod is in stock at B&H | Amazon | Adorama. Additional recommended retailer options are included at the end of the review. 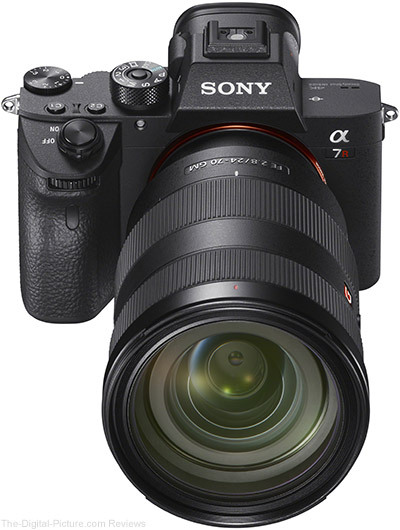 Image quality results from the Sony a7R II have been added to the Sony FE 16-35mm f/2.8 GM Lens page. Go create some comparisons. Here is one to get you started. 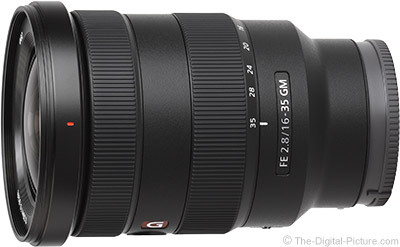 The Sony FE 16-35mm f/2.8 GM Lens is in stock at B&H | Amazon | Adorama | WEX. In the video above, we get a glimpse of an upcoming feature to Photoshop CC – the ability to select subjects in an image with a single click. Looking closely at the video, it looks like the automatically calculated selections will need some refinement, but... the new feature looks like it provides a fast and solid starting point for subject selections. We’re excited to give you a sneak peek into one of the new functionalities coming to Photoshop CC. Select Subject, powered by Adobe Sensei, is a tool that enables users to make their selections in one click. With Select Subject, you’ll be able to get started with your selections faster than ever before. 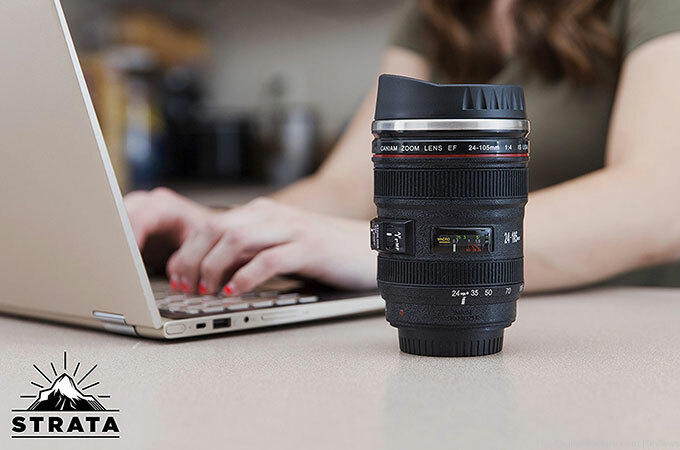 If you enjoy coffee as much as photography, then there's no better way to enjoy two of your greatest loves than with a coffee mug that looks like a camera lens. With a camera lens coffee cup perched on your desk, it's as if you're telling the world "I am a photographer, and now I'm ready to shoot." The mug that started the lens coffee mug craze was actually handed out by Canon at the 2010 Vancouver Winter Olympics. The mug looked like a Canon EF 70-200mm f/4L USM Lens and was a hit with photographers who were fortunate enough to get one. Want to know more about the mug? We have a pretty thorough review on the site. 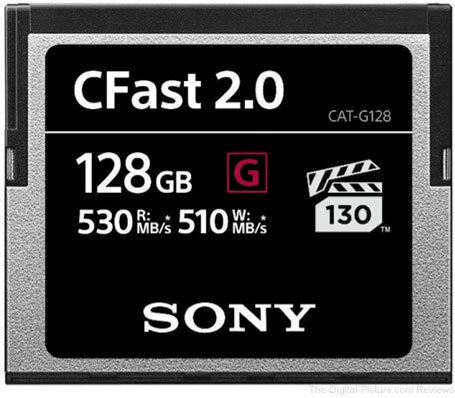 ASIA PACIFIC, 28 November 2017 – Sony today announced the launch of a range of high performance CFast memory cards designed to meet the needs of professional photographers and videographers. The new G Series CFast responds to the ever increasing capabilities of high-end DSLR and 4K cinema-grade broadcast cameras, offering lightning-fast write speeds of up to 510MB/s and read speeds of up to 530MB/s1 . Joining an established range that includes Professional internal SSDs, XQD and SxS cards, as well as the world’s fastest SD card2 , the new CFast models strengthen Sony’s position as a leader in professional memory solutions. Professional photographers demand faster speed for continuous burst shooting of higher resolution images like RAW. 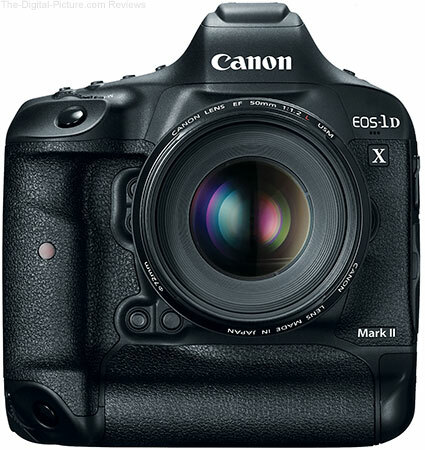 With up to 510MB/s write speed, far outperforming the capabilities of existing CFast cards, G Series supports high-speed burst shooting of high resolution RAW, maximizing the capability of high-end DSLR cameras like the Canon 1DX Mark 2. As well as ultra-fast write speed, the new CFast cards support VPG1303 for reliable recording of Cinema-grade or high-bitrate 4K video. A minimum sustained write speed of 130MB/s is guaranteed, making the new media ideal for stable recording of professional grade 4K video such as Cinema RAW light mode with Canon C200 video cameras. Efficient workflow is essential for professional photographers and videographers working in challenging environments to tight deadlines. With a blazing fast read speed of 530MB/s, G Series CFast dramatically reduces the time it takes to transfer RAW files, long 4K video footage and high-resolution images to a PC. The new CFast cards have passed a variety of stringent drop, vibration, shock and rigidity tests, making them perfect for shooting in many different locations. They work reliably across a wide range of temperatures and are highly resistant to static. With a hard case and Sony File Rescue software4 included for recovering accidentally deleted photos such as RAW images and videos, professionals can shoot with confidence in the toughest conditions. The new G Series CFast 2.0 memory cards will be available in 32GB (CAT-G32), 64GB (CATG64) and 128GB (CAT-G128) capacities in selected Asia Pacific countries in the 1 st quarter of 2018. Please check with the authorized dealers for pricing and availability.